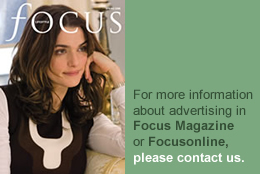 Article from FOCUS Magazine – Spring 12 issue. This recipe must be prepared a day before serving. Use a raspberry jam or chocolate-hazelnut spread as an alternative filling. Macaroons can be frozen after being baked. Macaroons Tip the sifted almonds, icing sugar and cocoa powder into a bowl; set aside. In a separate bowl, whisk the egg whites until frothy. Add 25g of the sugar a little at a time, whisking until the egg whites are smooth and shiny. Gradually add the remaining sugar, whisking until stiff peaks form. Slowly fold in 1⁄4 of the almond powder mixture, cutting straight down to the bottom of the bowl with a spatula, and lifting up the contents, bring the spatula up the side of the bowl while giving it a quarter turn. Add the remainder in the same manner, in 3 separate batches. Stop folding as soon as the mixture is smooth and shiny. Fit a piping bag with a 4mm round nozzle and fill with the macaroon batter. Cover a baking sheet with baking parchment; pipe 60 small rounds of batter, 2cm in diameter, on it. Set aside at room temperature for 20-30 minutes. Bake the macaroons for 5-7 minutes then lower the oven temperature to 120-130°C (250-265°F) and continue baking for a further 5-7 minutes. Remove from the baking sheet and cool on a rack; refrigerate when the rounded part of the macaroon is hard. Ganache Chop the chocolate and place in a bowl. Heat the cream and honey slowly until simmering. 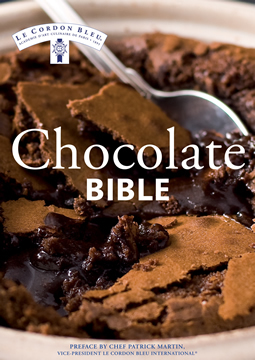 Pour half of the hot liquid over the chocolate and whisk to combine, add the remainder little by little, whisking gently; set aside until cold. 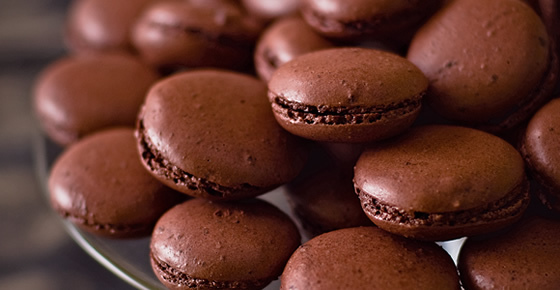 Spread the flat side of 30 macaroons with ganache and sandwich with the remaining halves. Refrigerate for 24 hours, when the centres will become moist.